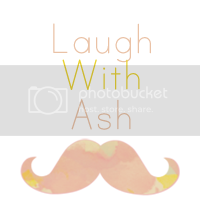 Laugh with Ash: Revamping things. 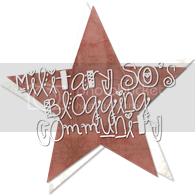 If you've been following, then you know that I've been a little MIA lately and have been trouble coming out of the blogging slumps. So last night I had this great idea to buy a book because reading inspires writing, right? Well, it does for me anyway. Usually I'd go for a romance novel, or a "schmuck" book as my brother-in-law has dubbed them. I used to swear I'd never read them, but my sister-in-law totally corrupted me on a camping trip a few years ago. So, I went to find one. When I got to the book store, I instead found myself drawn to the business and finance section... that was a first. I haven't even had the book for 24 hours and I already know it's going to be one of my most used purchases. It encompasses everything for the home-based mom. There's an entire chapter on blogging. I so wish I would have bought this when I first started blogging. What jumped at me was that my blog needed purpose. When I started blogging in August, I did have a purpose, but it wasn't clearly defined. I was not clearly defined. Since I've joined the blogosphere, I have lost sight of what my blog means to me. I've posted so much on mommy-hood, my babies, and our day to day because that's what was easy. and it was easy to find mommy readers. But that's not what I wanted my blog for. I love my kids, no doubt about it. But I need a space for myself. To be me, outside of being a mommy. So, from here on out, there will be some changes around here. You may still see posts about my adorably awesome boys, but they won't be in every single one. I'm here to find the funnies in life. To share my thoughts and ideas. To try to make sense of all this nonsense. head over to my sponsor page to grab yourself some free ad space for the next 30 days! Offer is good until all ads are spoken for. Use the following PROMO Codes. What a fantastic time for a new beginning! I love how you are using your blog as a space for you! You go girl! :-) Can't wait to follow along! 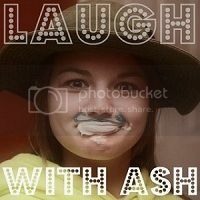 Congrats Ash ~ I'm so excited for you!! I am very excited to see what you come up with and THANK YOU for the free ad space! You are a rockstar and I love you! Awesome! I can't wait to see the changes. I started my blog as a "just for me" space right after my daughter was born, so I totally get it. Thank you so much for the free ad space! So enjoy your blog!